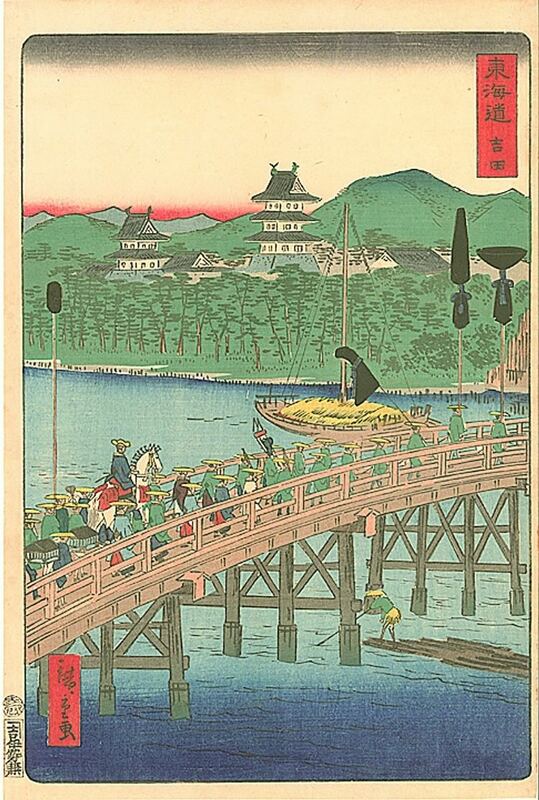 Edo (江戸, "bay-entrance" or "estuary"), also romanized as Jedo, Yedo or Yeddo, is the former name of Tokyo. It was the seat of power for the Tokugawa shogunate, which ruled Japan from 1603 to 1868. During this period, it grew to become one of the largest cities in the world and home to an urban culture centered on the notion of a "floating world". From the establishment of the Tokugawa bakufu headquarters at Edo, the town became the de facto capital and center of political power, although Kyoto remained the formal capital of the country. Edo grew from what had been a small, little-known fishing village in 1457 into the largest metropolis in the world with an estimated population of 1,000,000 by 1721. Edo was repeatedly devastated by fires, with the Great Fire of Meireki in 1657 being the most disastrous. An estimated 100,000 people died in the fire. During the Edo period, there were about 100 fires mostly begun by accident and often quickly escalating and spreading through neighborhoods of wooden machiya which were heated with charcoal fires. 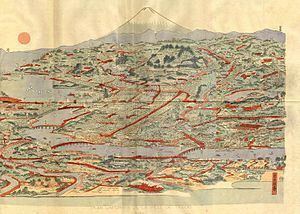 Between 1600 and 1945, Edo/Tokyo was leveled every 25–50 years or so by fire, earthquakes, or war. 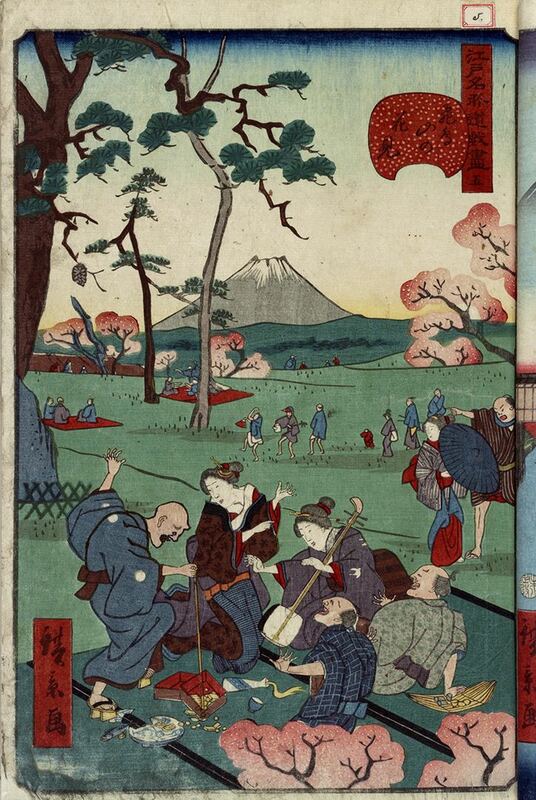 Keiō 4: On the 17th day of the 7th month (September 3, 1868), Edo was renamed Tokyo. Keiō 4: On the 27th day of the 8th month (October 12, 1868), Emperor Meiji was crowned in the Shishin-den in Kyoto. Keiō 4: On the eighth day of the ninth month (October 23, 1868), the nengō was formally changed from Keiō to Meiji and a general amnesty was granted. Meiji 2: On the 23rd day of the 10th month (1868), the emperor went to Tokyo and Edo castle became an imperial palace. Ishimaru Sadatsuga was the magistrate of Edo in 1661. During the Edo period, the Shogunate appointed administrators (machi bugyō) with jurisdiction over the police, and beginning with the rule of Tokugawa Yoshimune), the fire department (machibikeshi). The machi bugyō heard criminal and civil suits, and performed other administrative functions. The city was laid out as a castle town around Edo Castle. The area surrounding the castle known as Yamanote consisted largely of daimyō mansions, whose families lived in Edo as part of the sankin kōtai system; the daimyō made journeys in alternating years to Edo, and used the mansions for their entourages. 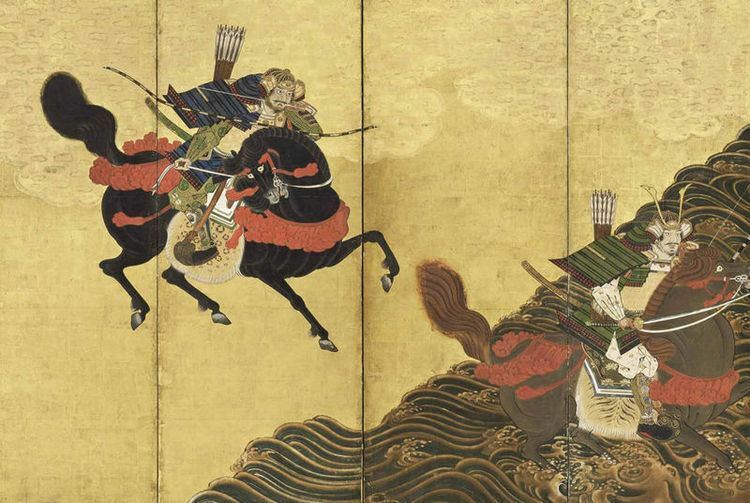 It was this extensive samurai class which defined the character of Edo, particularly in contrast to the two major cities of Kyoto and Osaka neither of which were ruled by a daimyō or had a significant samurai population. Kyoto's character was defined by the Imperial Court, the court nobles, its Buddhist temples and its history; Osaka was the country's commercial center, dominated by the chōnin or the merchant class. Areas further from the center were the domain of the chōnin (町人, "townsfolk"). The area known as Shitamachi (下町, "lower town" or "downtown"), northeast of the castle, was a center of urban culture. The ancient Buddhist temple of Sensō-ji still stands in Asakusa, marking the center of an area of traditional Shitamachi culture. 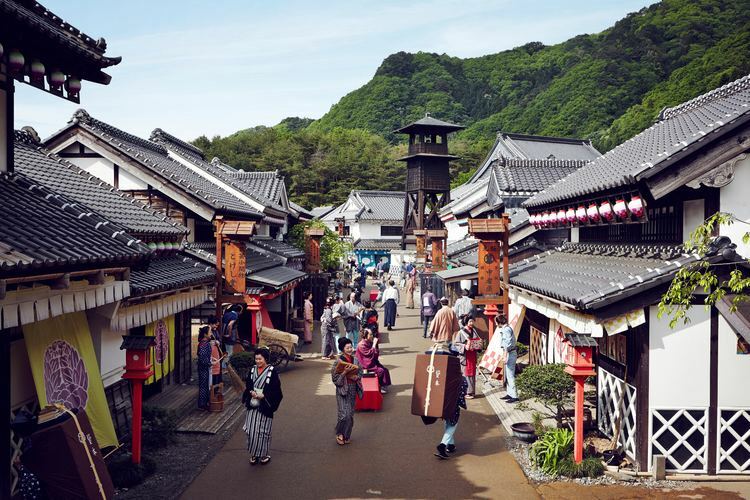 Some shops in the streets near the temple have existed continuously in the same location since the Edo period. The Sumida River, then called the Great River (大川, Ōkawa), ran along the eastern edge of the city. 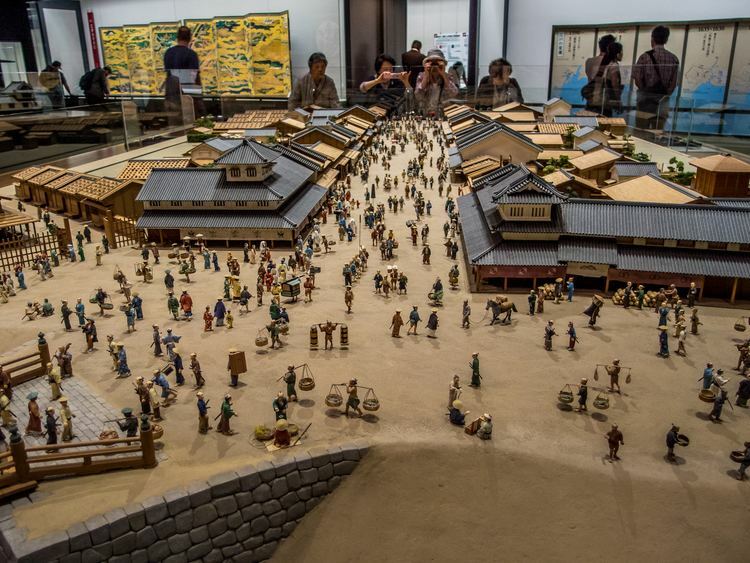 The shogunate's official rice-storage warehouses, other official buildings and some of the city's best-known restaurants were located here. The "Japan Bridge" (日本橋, Nihon-bashi) marked the center of the city's commercial center, an area also known as Kuramae (蔵前, "in front of the storehouses"). Fishermen, craftsmen and other producers and retailers operated here. Shippers managed ships known as tarubune to and from Osaka and other cities, bringing goods into the city or transferring them from sea routes to river barges or land routes such as the Tōkaidō. This area remains the center of Tokyo's financial and business district. 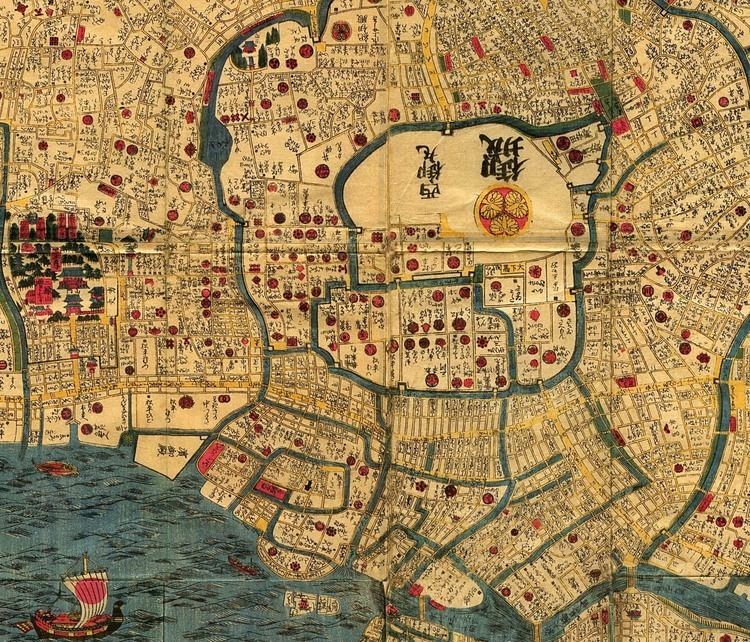 The northeastern corner of the city was considered a dangerous direction in traditional onmyōdō (cosmology), and is protected from evil by a number of temples including Sensō-ji and Kan'ei-ji. Beyond this were the districts of the eta or outcasts, who performed "unclean" work and were separated from the main parts of the city. 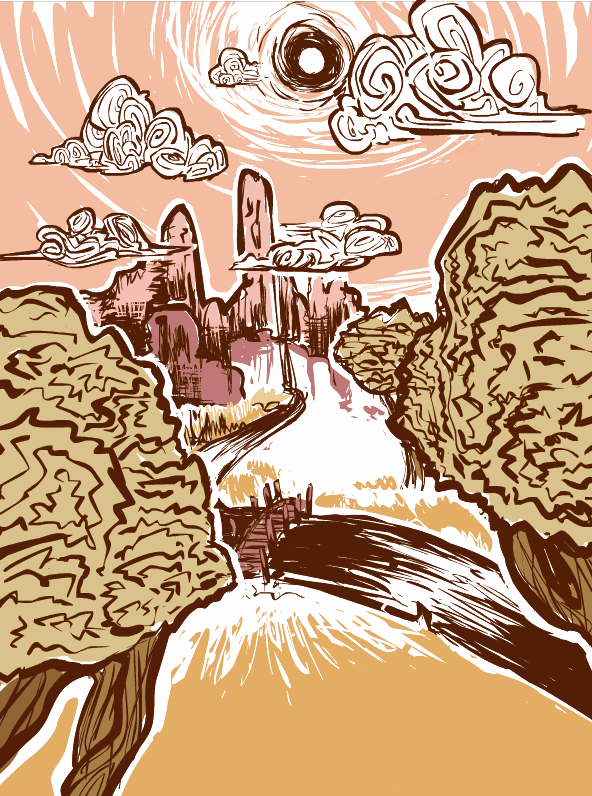 A long dirt path, which was a short distance north of the eta districts, extended west from the riverbank leading along the northern edge of the city to the Yoshiwara pleasure districts. 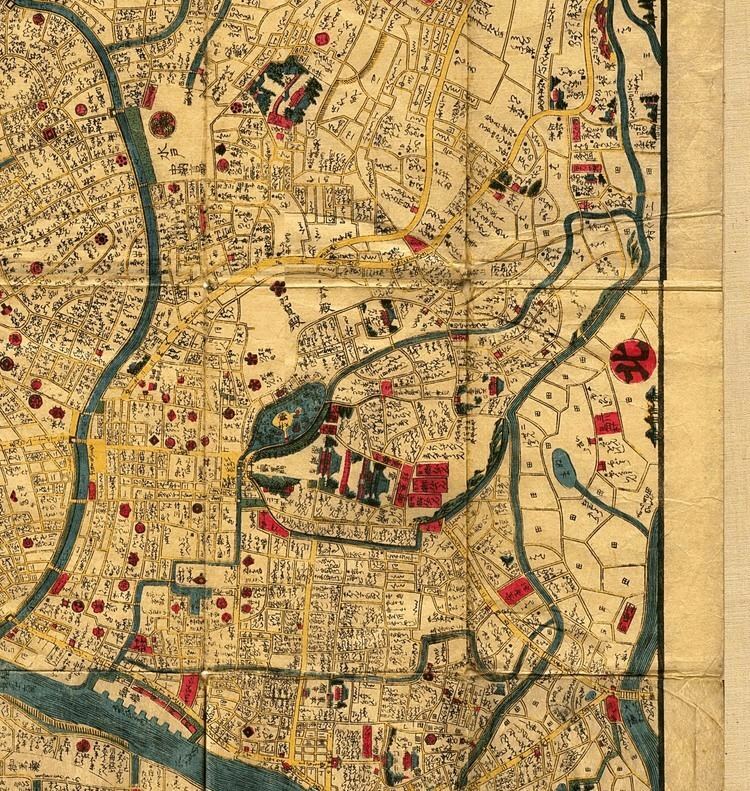 Previously located within the city proper near Asakusa, the districts were rebuilt in this more-remote location after the Great Fire of Meireki in 1657. See Tokyo for photographs of the modern city.